Comprising the movies and TV shows, Amazon has expanded its Video on Demand service with new HD sony-unveils-2-in-1-headphone-speaker-combo/">contents. 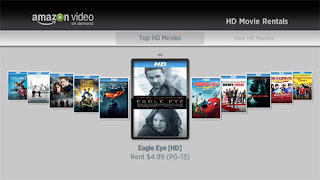 You can have the TV shows on compatible HDTVs, samsung-releases-another-eco-friendly-lcd-monitor/">set-top boxes and in computer as a stream or download. Unfortunately, the HD movies are not yet available for computers. The company already has 500 TV shows and movies available with the facility to increase the interactive-dvd-for-illiterate-also-playable-in-simple-dvd-player/">feature subsequently. Top-selling TV series include "Fringe," "youtube-releases-native-software-for-watching-videos-in-mobile/">Californication," "Terminator: The Sarah Connor Chronicles," "House" and "Heroes." Popular moviecityant-electric-car-comes-in-rental-basis/"> titles include "Frost/Nixon," "Twilight" and "Yes Man." 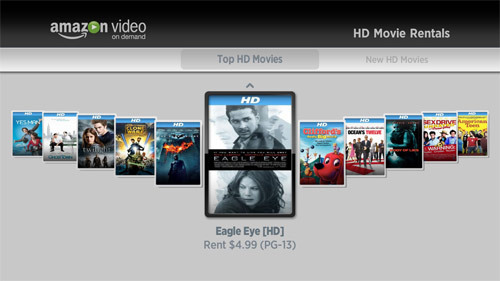 The HD movies will be first-blu-ray-player-from-lg-electronics/">available for rent for $4 to $5.